Just before 9 a.m. on Thursday morning, there was a massive refinery explosion at the Ramsey natural gas processing plant located just outside of Orla, Texas. According to news reports, the blast was felt up to 25 miles away and required evacuations of all individuals within a 10-mile radius. Of the approximately 250 workers that were present at the refinery, owned by Western Gas Partners and operated by Anadarko Petroleum Corporation, at least 2 were injured. As for the cause of the explosion, the investigation remains ongoing. 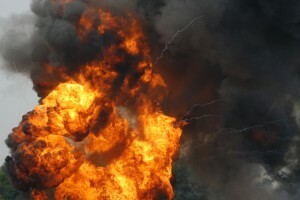 Our firm has successfully represented clients injured in nearly every major workplace disaster that has occurred in the past decade, including the BP Deepwater Horizon explosion, the BP Texas City explosion, the Williams Geismar explosion, the International Paper plant blast and the Imperial Sugar refinery explosion. We are also currently representing victims of the Williams Gibson explosion that took 4 lives and injured several others. In fact, we have recovered over $1 Billion in verdicts and settlements in just the past 8 years. Let us put our trial-tested team to work for you and your family. According to Midland’s KWES NewsWest 9, the Occupational Health and Safety Administration (OSHA) discovered 5 safety violations during a planned inspection held recently. Officials also cited Anadarko for improperly handling hazardous materials. If you or a loved one were injured in the Ramsey Anadarko refinery blast, contact the experienced refinery explosion lawyers at Zehl & Associates for a free consultation.